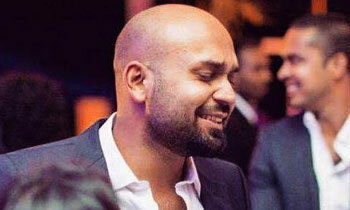 Shanil Nettikumara-who allegedly levelled death threats to the brother of Anika Wijeysuriya for giving evidence before the Bond Commission regarding Former Minister Ravi Karunanayake's Penthouse rental payment by Arjun Aloysius-was today directed to record statement with the CID over the inquiry by Fort Magistrate Lanka Jayaratne. The suspect was present in Court and the Magistrate released the suspect on a surety bail of Rs. 150,000. 'Bond' is a way to transfer money from one source to another within the country. Otherwise outsiders take hold of the local hi-finance like the private federal-reserve bank in US. When tooo many people mishandle it for personal benefits it become MULTI-BOND. Rich nieces of corrupt ministers burning their fingers unnecessary while trying to show solidarity to their uncles in power..
Don't get too excited ....your Sirisena is the main reason the CB scam was carried out in the first place. Remember how he dissolved parliament, concealed the DEW Gunasekara COPE report and protected the UNP?